There is nothing more American than guns. They are as important to American mythology as baseball and apple pie. As a culture, we have never fully come to terms with how fully embracing guns into our collective psyche has not allowed us to confront the problems they bring: hence the thoughts and prayers the politicians offer up after shootings instead of solutions to our violent, ongoing, crisis. I see this crisis as partially a women’s issue, due to both issues of domestic violence and the misogyny inherent in the core values of so many of the mass shooters we see. 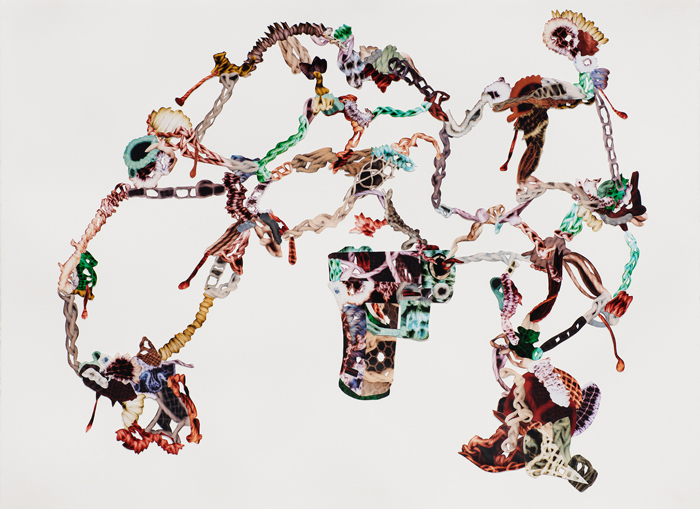 I make analog c-prints using lace in place of a negative, and then creating collages of lacy, raging, guns from the prints, as lace is something made traditionally by and for women. This turns the guns decorative and feminizes them, taking away some of their power to kill, leaving behind only beautiful machines. Before I moved to Berlin in 2015, when I used to travel abroad and people asked me about my home country, their reference points were often television shows, Hollywood movies and Disneyland (all of which are filled with gun imagery, incidentally). 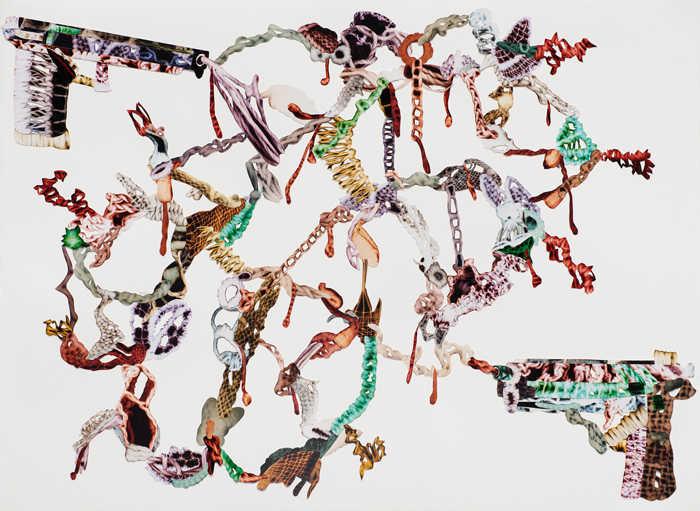 I started making these collages after I realized that the one of first things people ask me about now, when they realize I’m from the U.S., is gun violence. 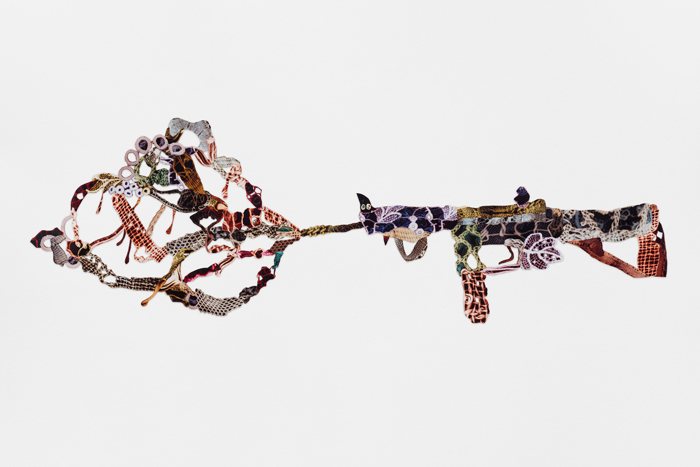 These collages are my way of dealing with our current cultural legacy of violence. Rachael Jablo works with issues around perception and memory through still image, cameraless photography, installation, and collage. 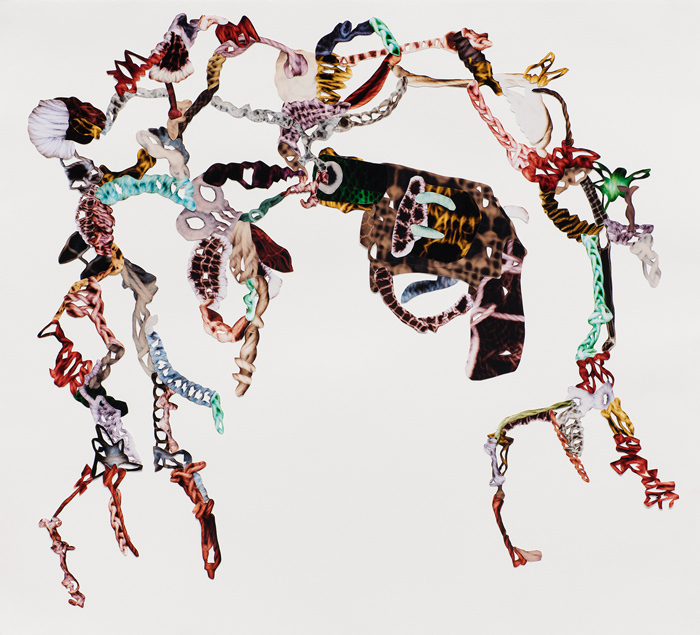 Her work has been exhibited widely, with solo shows at UCLA and George Lawson Gallery in San Francisco. In Europe, her work has been seen at the Museum für Photographie in Braunschweig and Rasche Ripken Gallerie in Berlin. Her monograph, My days of losing words (Kehrer Verlag) was featured on Slate, Lenscratch, and NPR. She has lived in Berlin since 2015.